In just 11 short weeks, the 2019 New England Farm to Institution Summit will bring together 500+ food service operators, institutional leaders, local food advocates, farmers, fishers, processors, distributors, and more, for three days of engaging sessions, inspiring speakers, exciting tours, fun social events, and more! Over the next few weeks, we will be opening our registration platform and sharing program details with you through the New England Farm to Institution Summit website. As we work to make this our most meaningful Summit yet, we are also doing a lot of reflecting on the environmental impact of hosting an event of this sort. While we believe strongly in the power of the Summit and gatherings like it, we also know that large events can leave a sizable footprint. Since the first Summit in 2015, we have worked hard to make sustainable decisions throughout the program planning process; we strive to serve local and regional foods throughout the event and we are dedicated to minimizing waste by using reusable materials and composting. In 2019, we are taking these efforts to the next level. We have established a sustainability committee and created a sustainability policy to guide our efforts and help us measure our impact. The policy outlines targets and activities for FINE and our partners during the planning process, but it also includes ways that you, the attendees and presenters, can help us make this event as sustainable as possible. We are grateful to be partnering with UMass Amherst in this process and value their leadership and enthusiasm in helping us meet our goals. We will be sharing tips for engagement over the next few months and we invite anyone attending the summit (and anyone who isn’t attending the Summit!) to spend some time looking at the full policy and to think about your role in these efforts. Fifty percent of all food and beverage and 100 percent of all meat protein, dairy, grains, oats, greens, and eggs served at the Summit will be sourced from New England farms and businesses. When possible, we will source menu items from local food processors and farms owned and operated by people of color, women, and beginning farmers. We will reduce meat options by using meat as a side dish or flavoring ingredient and not as a main ingredient. Meat portions will be limited to two ounces per serving. We will ensure that 100 percent of pre and post-consumer food waste is composted. Further, we will donate as much leftover food as possible to The UMass Food Recovery Network. Additionally, 100 percent of the cups, plates, silverware, and napkins will be reusable. Finally, zero plastic water bottles and single-use beverage containers will be offered. We will prioritize using recycled and reusable materials for our marketing efforts. This includes working with our printer and UMass Amherst to use post-consumer recycled paper, environmentally-friendly inks, and reusable signs. We will ensure that 100 percent of name tag lanyards are reusable by not printing our sponsors on them. We will also ensure that 100% of marketing materials are produced by New England-based businesses. Tote bags will be optional and a take-a-bag-leave-a-bag station will allow participants to drop off old or unwanted tote bags to be repurposed. Our goal is that 100 percent of participants use an alternative form of transportation at least once during the Summit. To further cut down on travel miles, 100 percent of workshops and Summit events will be located within walking distance of the Campus Center. We will provide transportation for any off-site field trips. Wondering how you can start thinking about your contribution to these efforts? We’ll be reaching out over the coming months with plenty of reminders and tips but in the meantime, here are a few things you can start thinking about now! 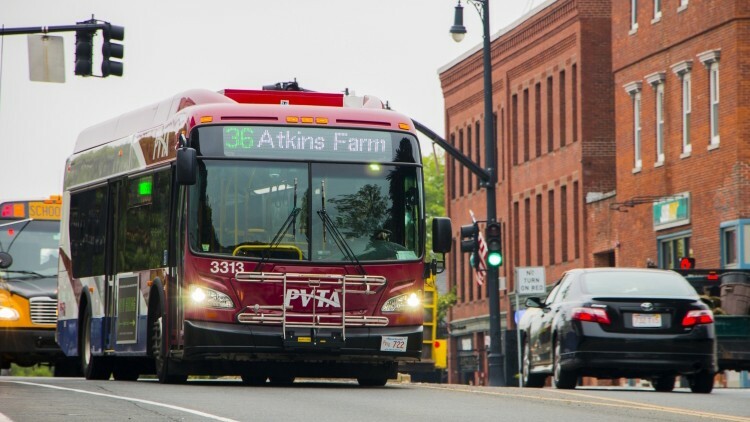 Plan to use alternative transportation: Are you driving to Amherst from out of town? We are expecting over 500 attendees at the Summit which means plenty of opportunities to carpool. We will be revealing a rideshare/carpool platform as we get closer to the date, but in the meantime, grab a friend or two and plan to ride together. Bring your own water bottle and reusable thermos: We will not be providing any single-use water bottles or drink containers which means this is a great opportunity to show off that triple vacuum-sealed water bottle you have. Gather your old tote bags to donate: Do you have a closet full of tote bags from past events? We will be featuring a take-a-tote-leave-a-tote station at the Summit where attendees can donate old tote bags to be repurposed and used by The Bag Share Project. Plan to study the program ahead of time: We are cutting down on our printed materials at the Summit which means that an abbreviated program will be available as part of attendees’ name tags and everything else you need to know will be available online and in a handy app. Once we release the program, we encourage you to get to know the offerings ahead of time -- this will help make the transition to digital even faster! We look forward to sharing more information with you over the coming months. If you have any questions or comments about our Summit Sustainability Policy, please email hannah@farmtoinstitution.org.